After reading Royal Assasin by Robin Hobb, I knew I needed to read something lighter, something shorter. If I didn’t, I knew the next book would get read about 1/2 way or 100 pages and I would put it down for something else. 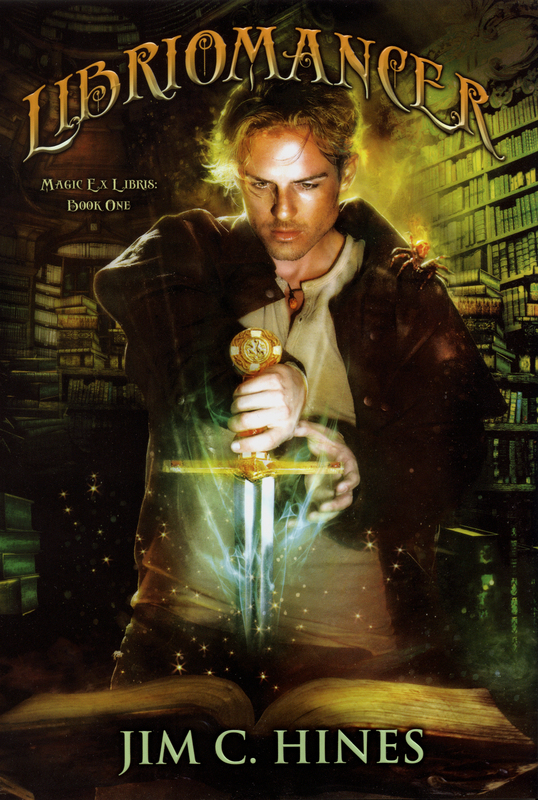 I saw Libriomancer by Jim C. Hines on the web, and was intrigued, so when I was in the library and saw it in the new section, I grabbed it. This book fit the bill well. It is light, short (big print), and fun. Libromanancer by Jim C. Hines was new and different to me. It is the story of Issac, a libriomancer, solving the mystery of what happened to his mentor, Ray, the disappareance of Gutenber (yes, that Gutenberg), and a host of other minor conflicts. Libriomancer can pull items from books (such as a ray gun, the weirding modules out of Dune, a healing potion from Narnia, etc). He can’t bring large items that won’t fit through a book, and other rules of this magic system are setup that I will not spoil. I will have to admit. This is, as far as I know, fairly original. I have read other books where characters jump into the fiction (Thursday Next novels by Jasper Fforde), but I have not read where fictional items are pulled from books. This was a short book that moved very quickly. At one point, I thought it may be a YA novel, but as it progressed, I think it is an adult novel, but certainly not on the upper-end of complexity. This entry was posted in Reading and tagged jim c. hines, reading, urban fantasy, ya. Bookmark the permalink.